If there’s one thing that I believe in wholeheartedly, it’s that teachers know what they’re talking about! I want to learn from teachers…teachers who are in the classroom right now! I want to learn from teachers who are retired and have learned the hard way so that they can save me from some hardship that I don’t need to test out myself. I want to hear from those who are deep in the trenches with me and those who have shared the experiences that I’m experiencing! This is what inspires me. This is what makes me get up in the morning and feel like I can handle all challenges as they’re thrown at me. Until recently, it was very hard for me to have these kinds of connections. It’s hard to reach out and learn from other teachers…especially outside of your own building. Heck…it’s even hard sometimes to learn from teachers IN your own building. Enter Periscope. Periscope is a game changer!! 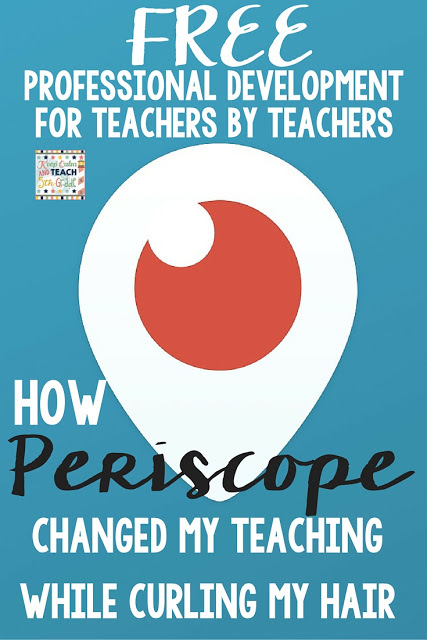 If you love teacher blogs, you’re going to adore Periscope. Periscope is a free app that let’s you watch live videos from your phone, iPad, or a web browser (if you follow the person on Twitter). You will need a Twitter account to sign up but those are free and easy to create. There are tons of amazing teachers on Periscope and I can’t get enough of it. It’s true. Periscope changed my teaching while curling my hair. I bet you’re wondering how. I guess this is where living on the West Coast works to my favor. By the time that I wake up and start getting ready for the day, all of my East Coast counterparts are already bright eyed and ready to take on the day. That gives me some great learning opportunities while I’m getting ready for work. I love catching scopes from Jen Jones in the morning. You can find here on Twitter here. Make sure you follow her on Periscope RIGHT AWAY. Seriously. Her morning scopes are like a full-blown professional development session. She pours so much content into her scopes. I watch and listen while I do my makeup and hair and then, by the time that I leave for work, I have a solid, easy-to-implement instructional technique ready to use that day! Talk about the ultimate inspiration! Another scoper that I have to feature is Kristen from Eat. Pray. Travel. Teach. You can find her on Twitter here. I have to be completely honest with everyone, Kristen is one of my real-life BFF’s. Kristen and I have been friends since 2010 and we’ve done all kinds of crazy stuff and traveling together. Now, with that said, I love her scopes because she scopes about all kinds of great multicultural education topics. She keeps it super real with you and helps you learn how to bring multicultural education into your teaching in a simple and easy-to-implement way…even for kinders! Follow her! You will not be disappointed! Next up, is a techy favorite of mine…Tony Vincent. I love technology. I love using computers, teaching with computers, incorporating cool apps…everything. Now, it can be hard to look into and evaluate all of the new sites, apps, games, etc. There’s new stuff popping up all the time. 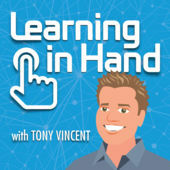 However, if you want to be kept in the technology cool-kids loop, Tony Vincent is the man to follow. Plus, his scopes are always super professional and you’ll leave the scope feeling like you should have just paid a good chunk of money for all of that great learning! You can find Tony on Twitter here. Next up on the list is the fabulous Sheila Jane. I know that it’s hard to talk about teacher burnout. Nobody wants to discuss it. However, teacher burn out is real! If you’re feeling run down and you need some support, come see Sheila. 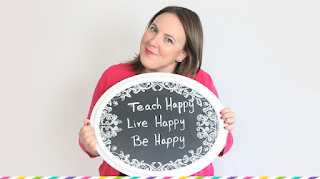 She knows just what the teacher world needs to bring happy smiles back into the classroom. She started a website specifically to end teacher burnout called Sheila Jane Teaching. It’s incredible. She’s great at linking teachers up with similar interests and she’s always so real and so honest. You can find her on twitter here! The next one up is a 5th grade teacher favorite of mine, Jessica from The Whimsical Teacher. Her morning joke scopes are so funny! I love having some comedy brought in to each and every morning. Plus, if you need some good jokes to fall back on with your class, she’s got you covered. Aside from being hilarious, she has amazing teaching ideas and she shares them with you so openly on her scopes. Sometimes, I’m jealous of her amazing teaching ideas. For real. I get so inspired to change things that I’m doing in my classroom just by listening to her. You can find her on Twitter here. Now…let me tell you a little secret. You can find tons of great Periscopers in ONE place. Yes, there’s a secret little teacher professional development portal out there and I’ll let you know where to find it! You can find it by going to iTeachTVNetwork. It’s a network dedicated to the best teacher professional development all day every day. Can you believe it?! All of these teachers are sharing their love, knowledge and expertise…for free. For the love of teaching, for the love of teachers everywhere. You must follow iTeachTVNetwork right away!! You can find them on Twitter here! Yes, you can find me on Periscope too! You can find my Katch feed here and my Twitter page here! Katch is a special site that saves the Periscope broadcasts for you! Periscope only keeps your broadcasts for 24 hours. Without Katch, you’d never be able to watch a scope again after those 24 hours are up. Luckily, most scopers are using Katch and you can keep up with all of the great learning whenever you’re ready. I don’t make tons of professional development but I do talk a lot about the teacher lifestyle. You’ll find me scoping on things like simple meal prep, getting back into fitness, beauty, and things that are happening with my class. You can check out one of my scopes below. So…have I convinced you yet? Are you getting a Periscope account? Do you already use Periscope? Do you love it? Let us know!! 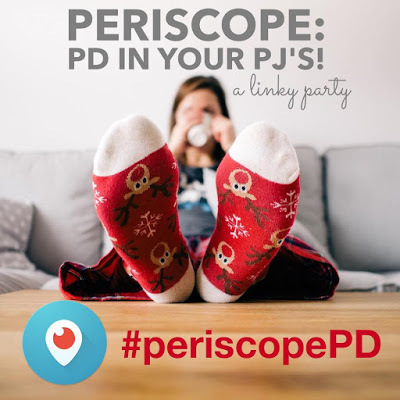 Now, after you go create your Periscope account, check out these other blog posts by Teacher scopers! ← Digital Learning Day Blog Hop! I LOVE how you get to watch us East Coasters as you get ready in the morning. I seriously love catching replays while I am getting ready. It just puts me in a mood to tackle the day!!! Thanks so much for sharing about my scopes! I never thought I had much to share….until I challenged myself to find my voice! I hope others do too! Great idea to watch people's scopes as you are getting ready for work! I will have to try that!